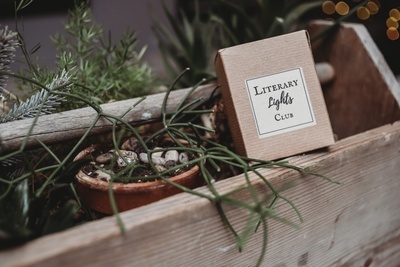 Enter your email address below to receive a notification when Literary Lights Club starts accepting new sign-ups! 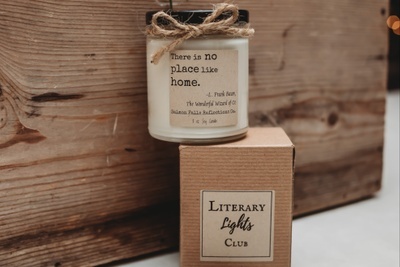 Enter your email address below to receive a notification when Literary Lights Club is accepting new sign-ups again. 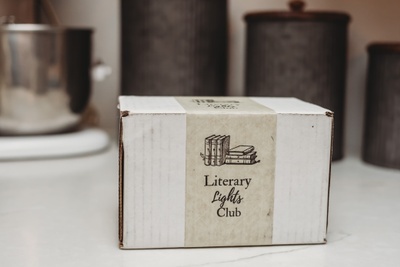 Your Literary Lights Club box will ship on the 18th of every month. 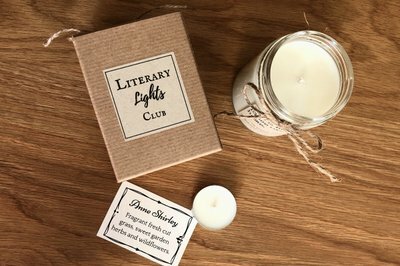 Orders placed after the 18th and before the end of the month will receive an immediate shipment of the current Literary Lights Club box. 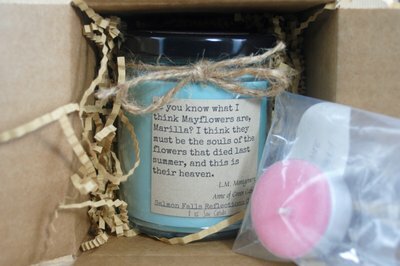 All subsequent boxes will be shipped on the 18th of the month. 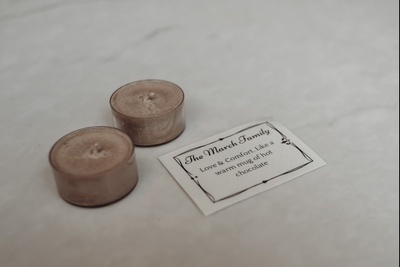 Are you a lover of the simpler things? 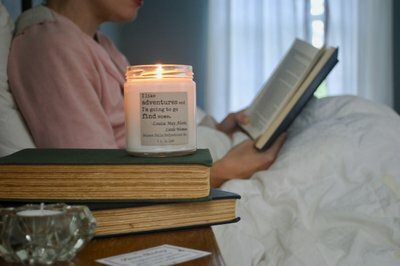 A good book and flickering candlelight?Literary candles are the perfect subscription for book lovers. 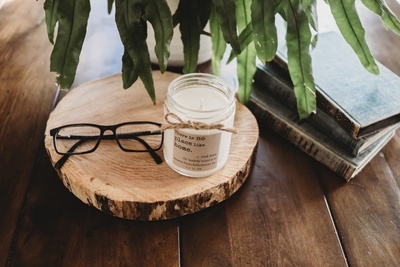 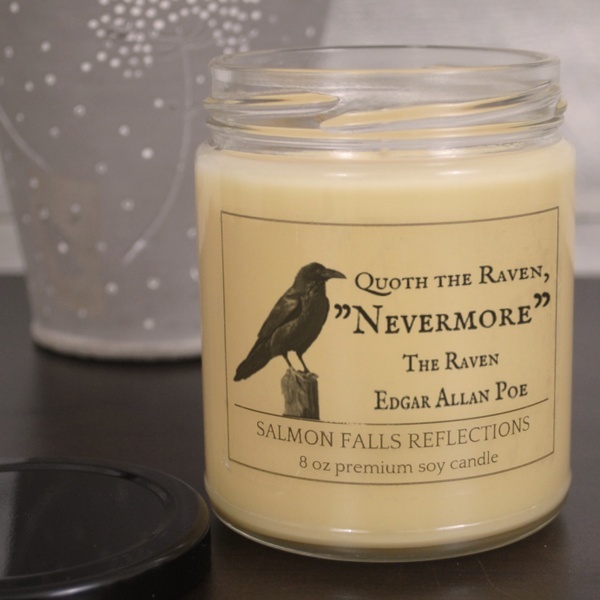 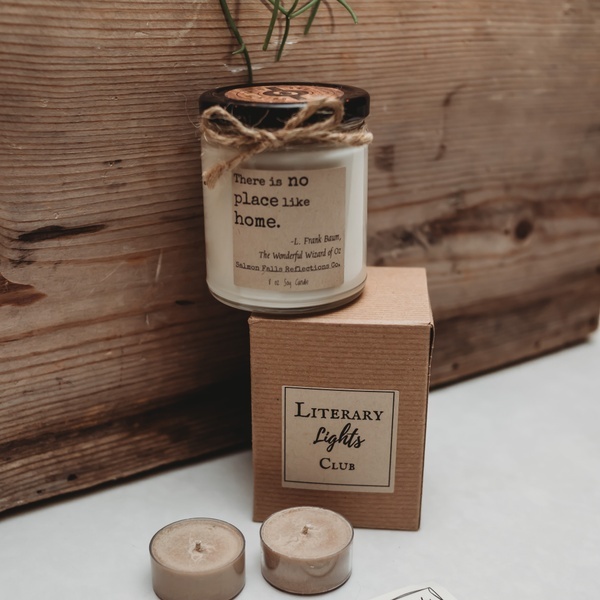 Treat yourself to a lovely soy candle adorned with a classic literary quote, and a tea light celebrating one of the main characters in the classic tale. 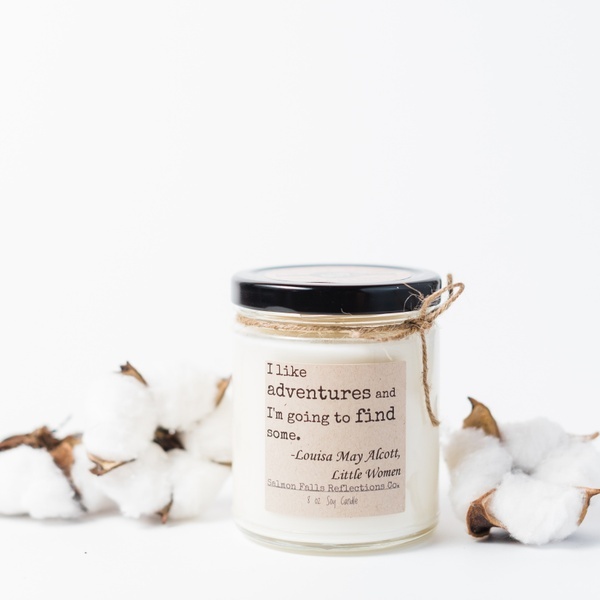 Our candles are hand created with premium ingredients. 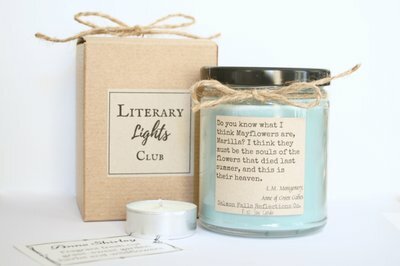 Literary Lights Club doesn't have any reviews!